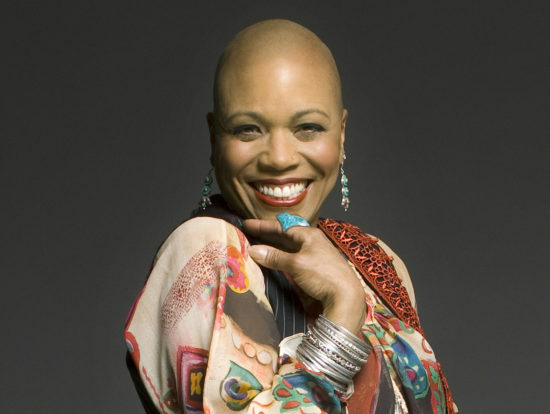 The singer Dee Dee Bridgewater has been an electric presence on the contemporary jazz scene for decades. The Grammy Award-winning vocalist is a dynamic performer who also crafts conceptual albums, including For Ella (tribute to Ella Fitzgerald), Eleanora Fagan: To Billie With Love From Dee Dee Bridgewater (tribute to Billie Holiday), Red Earth (dedicated to African and Malian music) and Dee Dee’s Feathers (a collaboration with New Orleans trumpeter Irvin Mayfield). She was recently named an NEA Jazz Master, and during her acceptance speech she spoke about how important the NEA was in enabling her to work with the radio station WBGO and its NPR show JazzSet. She spoke with JT publisher Lee Mergner about her upcoming album, Memphis (out Sept. 15 on Sony/OKeh/DDB), on which she sings classic cuts from the Memphis soul and R&B scene of the ’60s and early ’70s. She also reflected on the NEA honor as well as the Abbey Lincoln tribute she organized with Dianne Reeves, Esperanza Spalding and Terri Lyne Carrington. Bridgewater will be performing on the Blue Note at Sea cruise in January 2018. Learn more here. Lee Mergner: You were born in Memphis but grew up in Flint, Michigan. What was it like musically in Flint at that time? Dee Dee Bridgewater: When I was growing up it was Top  radio. We had a radio station that played all the black music, called the WAMM. Apart from that in the ’60s, Motown Records was the big influencer for Flint. When you were young, did you want to be a part of that Motown thing? I was in Flint, Michigan, at the beginning of the Motown thing. I was there until I turned 18 and then I went to Michigan State University. So it was still looming quite large. Did I want to be a part of it? Not particularly. My father took me to an audition and I met Berry Gordy and I met Smokey Robinson. Berry Gordy wanted my father to bring me back when I was 18—I was 16, so that was 1966. He wanted to sign me. And I told my father on the way back that I wasn’t really interested in Motown, I was interested in Capitol Records because that’s where Nancy Wilson was. So that was the scope of my intellect at the time. For your new album, Memphis, was it a matter of re-discovering that kind of music? Did he play R&B? Or jazz? He taught jazz, he taught marching band at the high school. But he played in a lot of different bands—he played alongside Willie Mitchell, who of course bought and created the whole history of Royal Studios. He and Willie Mitchell were friends and played together in different bands. At the Stax Museum, I found a photo where he was with him. That band was called the Herman Green Band. And I don’t really know what kind of music they played. I know that Herman Green is still living—I tried to reach out to him a couple of times, but then the phone number was disconnected. Had you known that your father had that musical background in Memphis? Do you think that was a generational thing to keep all of that a secret from you? I have no idea. I think it was my father’s family. I don’t know if it was generational or not. I [do] know him not wanting me to be a musician, that that was from the generational idea. I had expressed interest in playing the piano when I was 12 and he told me, “Girls don’t play instruments, girls sing.” So that’s very generational. Tell me about the songs on this album, how you chose them? I just picked songs that stood out for me, and I can’t really explain the how and the why and the wherefore. These were just songs that I always loved and songs that I wanted to sing. On the album are a song by Barbara Mason called “Yes, I’m Ready” and “Givin’ Up” by Gladys Knight and the Pips, which was the first song I heard on the radio when I stopped going up and down on my dial on my transistor. “Goin’ Down Slow,” which was the first song I heard Bobby Blue Bland sing. “Baby” by Carla Thomas, Rufus Thomas’ daughter. A group called the Soul Children recorded a song that I loved in my teen years and that’s called “The Sweeter He Is.” I do “I Can’t Stand the Rain” by Ann Peebles. I had to do something of Elvis Presley, because he was so prevalent on the Memphis scene, and that song is “Don’t Be Cruel,” which was re-arranged and features one of my co-producers, Kirk Whalum. I do Big Mama Thornton’s version of “Hound Dog.” I do Otis Redding’s “Try a Little Tenderness.” I do “The Thrill Is Gone” by B.B. King, I do “Why (Am I Treated So Bad)” by the Staple Singers. It’s incredible to think that almost all of those songs are from a 10-15 year period. Exactly. From going back to Memphis, I just thought, when I made the decision to do an album there, that it would be blues and soul. It also had to do with seeing how South Memphis, which was where the biggest black community was, has all but disappeared. Royal Studios is still in South Memphis, but it is a very blighted community and there is a lot of poverty in that community. It became a thing for me to want to try and, you know, draw some attention to the Memphis music, to the soul music. At the same time to do something that I always had wanted to do, that was a closet dream that I never even talked about. And just to try to bring some focus back to the city, because the focus has moved to Nashville. And this music is pretty much all black, or African-American, as we are called today. To try and bring focus back to the city, to that history, to my people, I am performing with a band composed of all Memphis musicians. If they were not born in Memphis, they have lived there for a large part of their lives. It’s also great that you were able to collaborate with Kirk Whalum, who was and is a big part of the Memphis music scene. Kirk and I have been friends since we met in Paris, France, in the ’90s. And as he’s from Memphis, I just asked him if he could help me put the band together and put this project together, as he’s from there and he has more knowledge about the musicians and the whole music scene than I did. So that’s how we became involved. Like you, he’s a jazz person who has lived with and around that idiom. Exactly. Kirk played with Whitney Houston for several years. That was what he was doing in the ’90s when I met him. You know, it feels good to have done this. I feel like I’ve really now gone full circle and I’ve closed my circle on doing this project. I was able to acknowledge my roots. They say up until three, that’s your formative period. Going back, and finding out a lot of stuff about those years that my family was in Memphis, it’s been very, very healing for me. I feel like now I’ve got full closure and I will be able to now move forward in terms of my creativity and look at other stuff. But what I have also discovered is that I really love this music. I absolutely adore this music. And it makes me feel really good. It’s very therapeutic for me. So I don’t know if that’s because I lost my mother March 1, and my emotional support service dog, I lost him on December 1. It’s been kind of a traumatic six months for me that I’m just now beginning to come out of and see my way clear. But I have to say, every time I go to Memphis I just feel so good and so at home and I start having ideas about songs and stuff, and I haven’t had that in years. I’ve kind of been in a creative limbo since even before I did the Dee Dee’s Feathers album. So I actually haven’t felt really creative-creative since I did my Red Earth project [based on African and Malian music]. That was quite something for me. What does your father think about the Memphis project? I have not played the album for him yet. He just knows that I went and did it. We’ll see, I’ll see how he likes it. I think he’ll enjoy it. He’s 89, his health is not the best. He wants to make it to 90. He was always very competitive, my father. My mother made it to 90 so it’s become his focus. He wants to at least do what my mom did. Which is cute; I think it’s very sweet. He’s known about [the Memphis project] and I’ve kept him in the loop about it. In fact, I met someone who was able to put him in touch with the people that were working on the history of musicians in Memphis. And they were able to interview my father, and that was great. 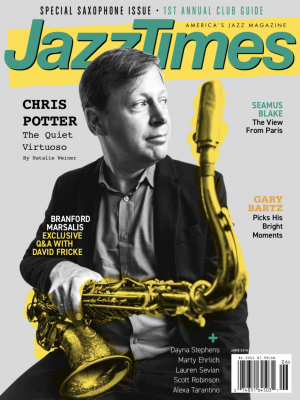 Recently you received the NEA Jazz Masters award. It’s great to see you [get it] this year and then Dianne Reeves recognized next year. It is great to see Dianne get it. I’m so happy for her about that. And it was wonderful for me because I didn’t even know that I was on the radar. It was never something that I had thought about. And I felt even a little uncomfortable receiving it knowing that my new album was blues and soul music. So I thought, “Well, that’s kind of ironic.” But of course, these are all musics that come from the black experience, so there is a connection in that way. I would think that it must have had quite an affirming feeling for you, to be recognized like that. It was affirming for me. It was very affirming for me. Because I always knew about the NEA Jazz Masters, I saw a lot of the people who were awarded with the Jazz Masters. But I don’t know, I never thought that I was of that ilk. My focus has always just been on recording, making the money so I can take care of my family, and just trying to uphold traditional jazz vocally speaking. And allow my reputation to kind of be a platform for the musicians that I hired [in my band] to step from, to get better recognition for themselves. That’s always what I’ve been about. And then just to do music that I wanted to do, that I believed in, that I was ready to defend. And that’s it. I was trying to do my music more from the standpoint of a musician’s place, because as singers, people expect us to stay in the same category of music for all of our lives. And musicians are allowed to be much freer. Miles Davis was always my model that I tried to create my music after. I wanted to be exploratory and I wanted to have those experiences like the musicians—that was always very important to me. I recently saw a performance of the Tribute to Abbey Lincoln that you pulled together with Dianne Reeves, Esperanza Spalding and a band led by Terri Lyne Carrington. It was an incredible show. Had you done it before? We only did it once before, and that was after Abbey had died. That was in 2011. This was the second time that we put the project together. The first time it was with Cassandra [Wilson] and Dianne, and then this time, as you saw, it was with Esperanza in place of Cassandra. You must be proud of how it came together. We did three shows. We did Washington, D. C., at the Kennedy Center, then we did Philadelphia and then we did the Apollo. All three shows were amazing shows. It was very interesting—different responses, but the most spiritual one was the one that we did in Philadelphia at the Merriam. That was quite astounding what happened at that one. We were all very, very proud to have done it. We were all very, very comfortable together with Terri Lyne. Of course Terri Lyne is the liaison between all of us, because we’ve all worked with Terri Lyne on different projects, sometimes together, and then sometimes individually. She was the common link between the four of us and it was beautiful, it was really beautiful. I really enjoyed Esperanza being a part of it. It was nice that she was just singing, and it’s really wonderful how strong her voice is getting. Because I remember we worked together very, very early in her career, right after she graduated from Berklee, because she was always on Terri Lyne’s radar and vocally I think she has grown leaps and bounds. I love, really love her singing voice. What happened in Philadelphia that was so special? At the end of the show, when we were doing “Freedom Day,” Dianne got inspired and she kind of went into a trance and she started humming a note, and then the audience just started humming this note. And we ended the song and when we were leaving the stage, the audience started humming this note again and they just kept humming it and it was just a very meditative, spiritual moment. And this lasted for about a good 10 minutes. Actually, it was from them kind of staying in this trance state that we went back out and did another number. And it was extraordinary. It was something that I had not experienced before. And we all talked about it afterwards. It sounds as though Abbey’s spirit took hold there. Oh, her spirit was definitely present for all three shows. Definitely present. It was a spiritual experience, you know. And it was beautiful that the woman who had been handling all of her belongings brought out her clothes. I wore her top hat, and Dianne had a scarf that she tied around her microphone stand. I came out in a shawl of Abbey’s that I draped on the chair afterwards. There was a kind of a beautiful exposition of a lot of her belongings in D.C. at the Kennedy Center that was quite stunning. It was just a beautiful experience all around. Kevin Struthers [of the Kennedy Center] did the production this time, which was his first time producing a show. And it was just beautiful because we all have wonderful relations with Kevin, who runs the jazz program under Jason Moran, but he’s been there since it started under Dr. Billy Taylor. It was just one big family. And it was just lovely. Do you think you’ll be able to do it again? I don’t know if we’ll do it again or not, but to come back and revisit Abbey’s music and to do it in that manner was fantastic. I kind of feel like we did what we needed to do with it. It kind of feels like, for Abbey, this is what she wanted to be done. And so it was really beautiful. It really, really was beautiful. Did you learn anything about her music in that process? Did I learn something new? Well, I had never heard, for example, her [song] “Laugh Clown Laugh.” Because I’ve listened to Abbey’s music, but not every single recording that she’s done. What struck me about Abbey was the wide berth of musical approaches that she had. And the range of her songwriting and her composing. And the fact that she was kind of a late bloomer. She didn’t really start writing until her late 50s or the beginning of her 60s, which was something that was reassuring for me because I said, “Well, there’s always time to tune in to different parts of one’s creativity.” I think her songwriting is quite extraordinary, her imagery is extraordinary. Her melodies are quite interesting. It’s interesting because in some ways they’re simple yet they have a real depth. The writing also reminded me of Sondheim. It’s not easy what she did. It’s quite a gift she had as a songwriter. Some of her lyrics were simple, some of them were I thought quite ingenious. One of the reasons why I loved “Wholly Earth” is I think the imagery she created on that particular song was quite extraordinary. And some of her songs, they were a bit more complex in terms of the actual lyrics that she wrote and the imagery that she conjured up. I would put her in line with someone whose lyrics I love, Paul Simon. I think that, if she had started earlier … We have to be in a particular mindset for that kind of creativity to flow out of us. I just think she tapped into it at a point in her life, where that was her mindset. And so she was a lot more open. I think earlier in her career, the years that she was with Max had another intensity to it, because of Max’s intensity. She was really marked by all of those years. And she never, ever got over those years. As Abbey got older and she began to reflect on her career, she held some animosity towards him because she had let go of her acting career to be with Max and stand with Max. And she kind of became blacklisted in the ’60s because of “We Insist.” You know, she was bitter at the end of her life. And that’s just from my personal experiences with Abbey. The final thing I wanted to talk to you about is parenthood. Your daughter Tulani is your manager and China is an accomplished singer. What has it been like for you to get to work with your children, Tulani on the business side and China onstage? It’s an absolutely amazing experience to work with my own children. To work with Tulani, who handles my management, and then to work with China as an artist and to be able to watch and participate in her progression as an artist and as a musician has been nothing short of extraordinary. She has a new album out that she co-wrote, co-produced, she just co-everything-ed on this album, called Nightingales that is just extraordinary. Several of the songs on her album I could absolutely sing. They’re just great songs. It’s just beautiful watching her progression. I have a 25-year-old son [Gabriel] who’s a musician—a guitarist, a bassist, he wants to play all instruments. He’s coming along. He was born in Paris, so he’s back home in France. He’s been there a year and he’s starting to make a way for himself and starting to be called for bass gigs and guitar gigs and singing gigs. I call him my jack of all trades. I try to tell him, “It’s better to stay in one position instead of trying to fan yourself out.” But he’s gotta learn himself. I just sit back and I don’t say anything, which is what I did with China. I didn’t really say anything to China; I didn’t help China. Because one thing I wanted for my kids is for them to arrive where they want to be on their own, without feeling like they’ve piggybacked on me. Bridgewater’s album Memphis will be released on Sep. 15, 2017. In addition to numerous dates at major jazz festivals and venues, she will be performing on the Blue Note at Sea cruise in January 2018. Learn more about the cruise here.